Carol is the Associate Director for Research Programs at the Mississippi Mineral Resources Institute (MMRI), Center for Marine Resources and Environmental Technology (CMRET) and Seabed Technology Research Center (STRC), the University of Mississippi, as well as Research Coordinator for the Gulf of Mexico Hydrates Research Consortium (GoMHRC) administered by the University of Mississippi. 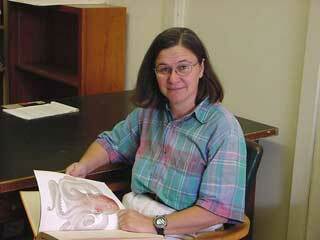 Her training is in biology and English (Duke University) and in geology (The University of Mississippi). She has worked as a geologist on land and at sea, in the United States of America and overseas. Her professional interests range from biogeographic expression of geology to alternative energy sources. She interacts with and promotes cooperations among Consortium members including a multitalented shop crew, Program Managers and Contracts Officers and is responsible for organizing cruise activities and for all technical reporting. Carol is a Registered Professional Geologist in the State of Mississippi.